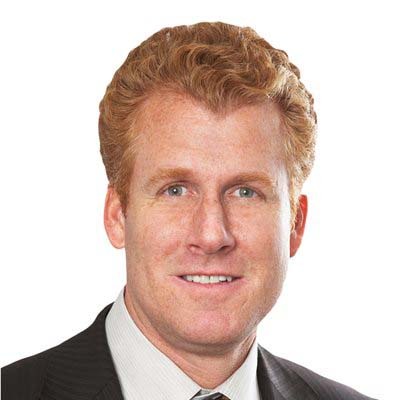 Chris Eustace is a partner in Gowling WLG's Toronto office and a member of the Business Law Group. He practises in the area of corporate and commercial law, securities and banking law. Chris serves a diverse base of clients in a wide range of industry sectors, from owner-operator entrepreneurs to multinational consortiums to public corporations. His practice focuses primarily on mergers, acquisitions and divestitures of private and public businesses, public and private debt and equity financings (both on behalf of lenders/investors and borrowers/issuers), corporate restructuring, joint ventures and partnerships (general and limited) as well as general corporate and commercial matters, which encompass customer, supplier, distribution, procurement, development, franchise and licensing agreements and other contracts or arrangements. He advises both Canadian and foreign companies, investors and underwriters on all aspects of Canadian securities regulation, including Canada/U.S. cross-border transactions. He provides counsel on such matters as disclosure and regulatory compliance issues for public companies and their directors, officers and shareholders, creation of executive and employee stock option and stock purchase plans, stock exchange listings, corporate governance issues, as well as all aspects of law affecting the organization, financing and operations of corporations and other business organizations. He also has extensive experience representing both Canadian and foreign purchasers in both leveraged and traditionally financed domestic and cross-border mergers and acquisitions. He has also advised domestic companies engaged in carrying on business in China through the Gowling WLG China Initiative. In addition to a transaction-oriented practice, Chris provides ongoing legal and business advice on day-to-day operations and management aspects to a diverse range of companies ranging from industrial manufacturers, wholesalers, distributors, transportation carriers/freight forwarders, exploration and resource based companies, service providers and franchisers in a broad range of industry sectors including to technology and intellectual property driven companies in the telecommunications, transportation/logistics, internet, software and medical services and devices areas. Chris sits as an advisor/member on a number of advisory boards and committees, and serves as a director on a number of boards of directors. He also serves as an advisor or committee member for several not-for-profit charitable organizations. Chris has spoken at various client, industry association and professional continuing education seminars relating to a range of corporate-commercial areas including on corporate governance, privacy issues, succession planning, buying and selling a business and debtor-creditor matters.